From remote alpine lakes to open ocean, there definitely is not a shortage of fishing locations in British Columbia. While many locations, such as Vancouver's urban lake fisheries, are quite easy to find, others require a bit more research and exploration. 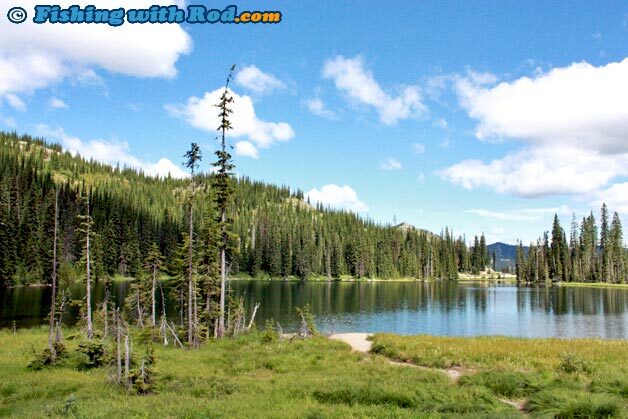 This section is intended for guiding you to new fishing locations in British Columbia. In this guide, you will find information on some of the more commonly used fishing spots and we hope that you can explore further to more remote locations after becoming familiar with these areas. British Columbia's fishery management is divided into eight regions. This reference is used when discussing fishing regulations, as well as where a particular fishing spot is. 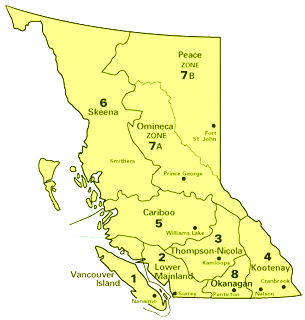 For example, Capilano River is located in Region Two (Lower Mainland), while Thompson River is located in Region Three (Thompson-Nicola). Below is a list of these eight regions and their corresponding areas on the map. Please select the area that you are interested in and continue to specific fishing locations in that area on the following page. This section does not necessarily lead you to the "hot spot", but it provides a general guide on the fishing season, fish species, fishing regulations of a particular fishing location that you are interested in. The best way to find out more about it, is by taking this information and exploring it in person. After several trips, you will become much more familiar with it.